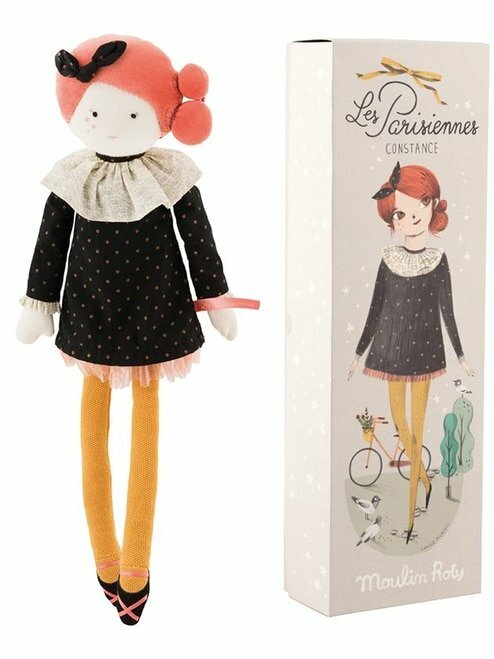 Another gorgeous addition to the Moulin Roty "Les Parisiennes" collection, Mademoiselle Constance is wearing a stylish outfit that could be right off the runway at Fashion Week! 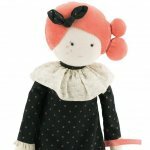 The perfect pal for your little fashionista. Miss Constance also arrives in a beautifully illustrated box for safe keeping.